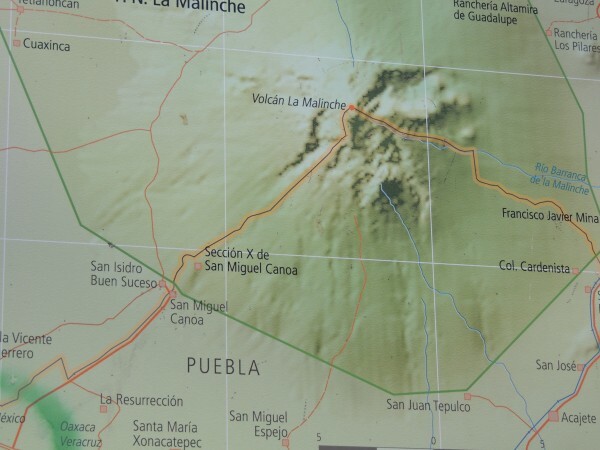 We traveled to MExico to visit the towns of Puebla, Humantala and Tlachachuca. 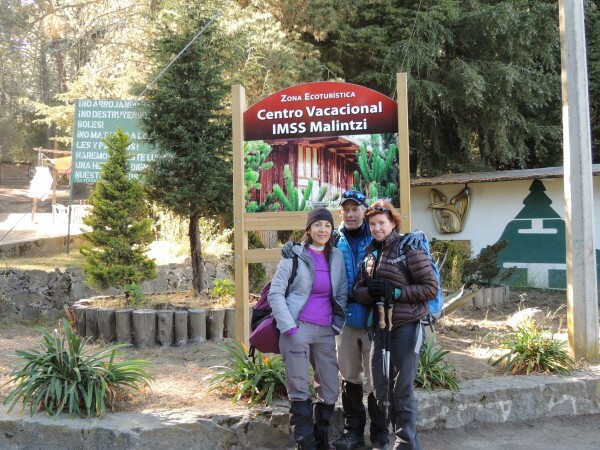 From Huamantla we visited the town ( please see section on Mexico) went horseback riding and climbed La Malinche @ 14,700 feet. 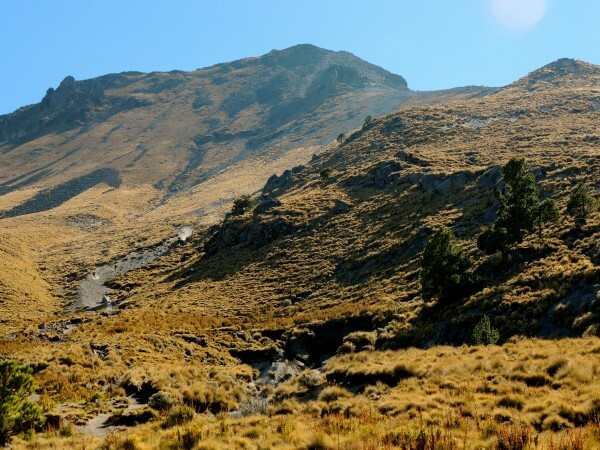 La Malinche mountain is an inactive volcano located in Tlaxcala and Puebla states, in Mexico. Officially, its summit reaches 4,461 metres (14,636 ft) above sea level. 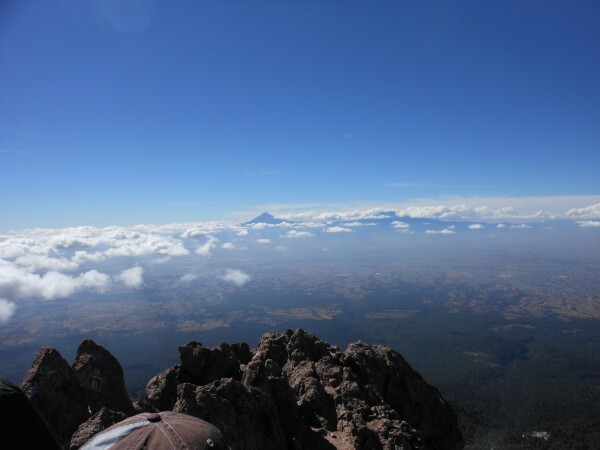 Its height makes it the sixth highest in Mexico, and the 252nd highest in the world. 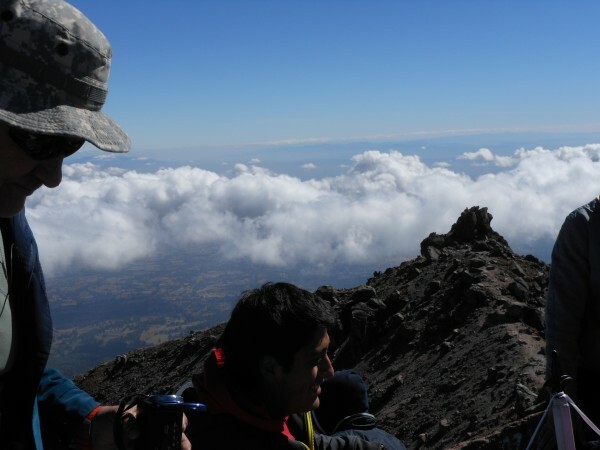 The summit is 28.3 km from Puebla. 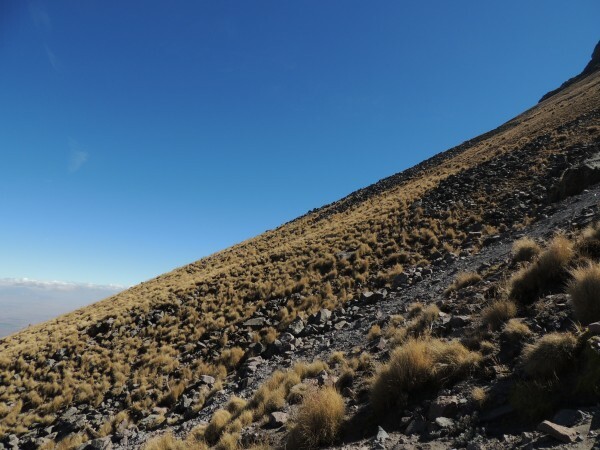 The climate is cold on the summit and mild on its lower slopes. The Tlaxcaltecs named it Matlalcuéyetl, which in English means “Lady of the Green Skirts,” a goddess of rain and song. The Spanish changed its name to “Malinche”, in honor of a woman from the current Tabasco state, called Malinalli, who helped the Spanish as a translator. 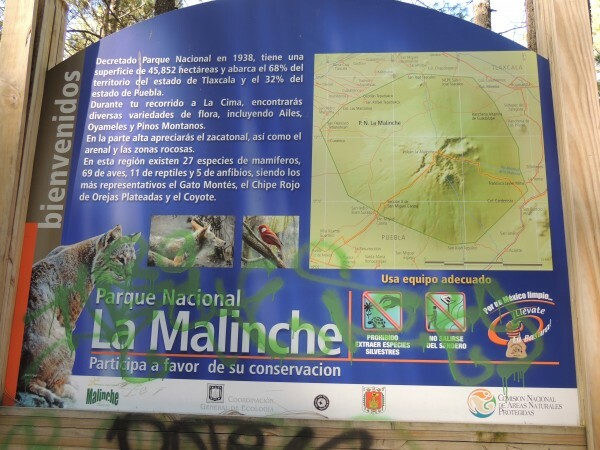 At present, La Malinche is apparently quiet, although some “strange noises” have been reported by local residents. On lower slopes are farmlands (ABOVE) which grow mostly field corn and forests which transition from oak to pines with increasing elevation. The upper slopes are grasslands. 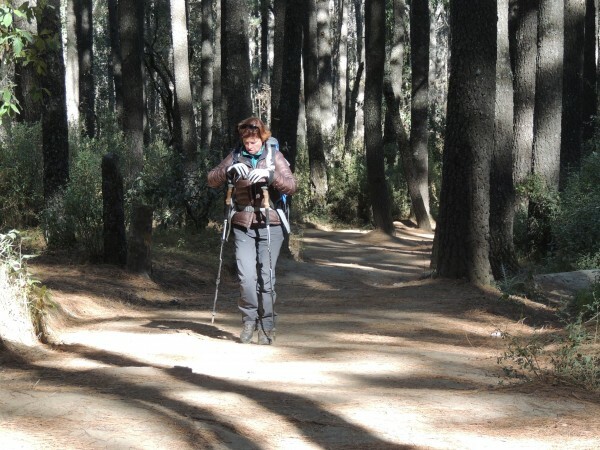 The summit is covered by snow part of the year and is considered to be the coldest location in Tlaxcala. On the lower slopes the climate is mild year round, but rainy during the summer months. 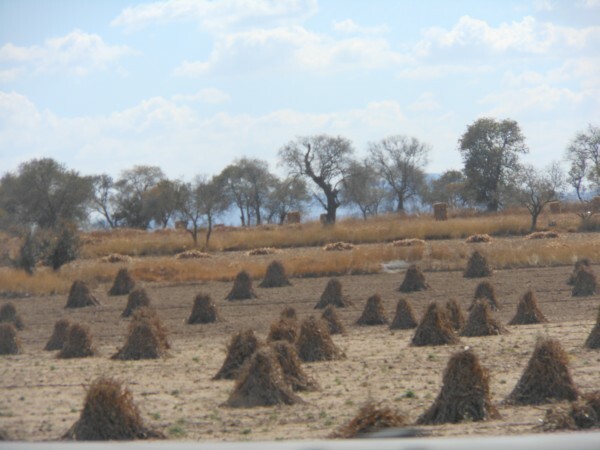 The soils consist of crushed volcanic rock and sand with an underlying layer of clay and sand called tepetate at an average depth of about a meter. The dark and porous forest soils were formed from volcanic ash. 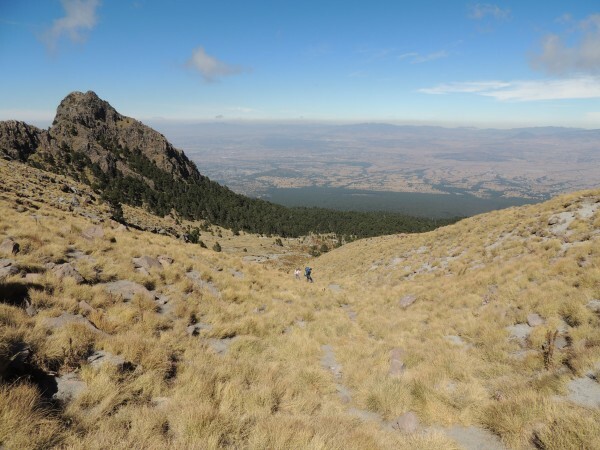 From La Malinche streams flow in all directions forming small gorges in places which fill and run rapidly when torrential rains occur. At the base of the mountain emerge many springs, some of drinkable water, and others of thermal water heated in the volcano’s interior. 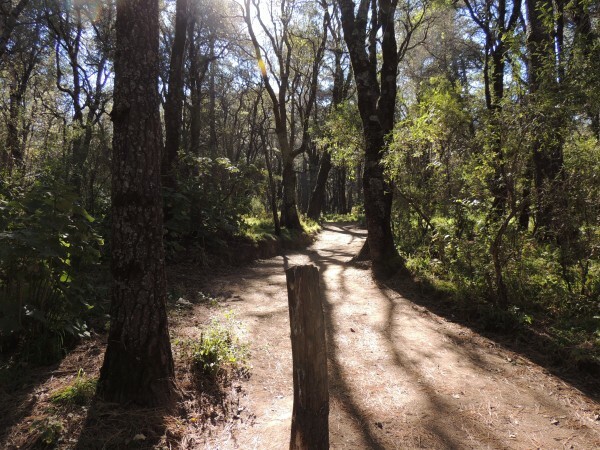 – the trail can be hiked easily to the summit. 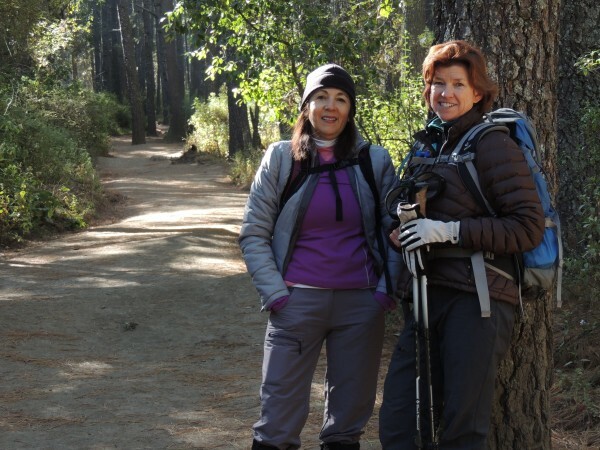 Hikers usually reach the summit 5–6 hours with breaks. 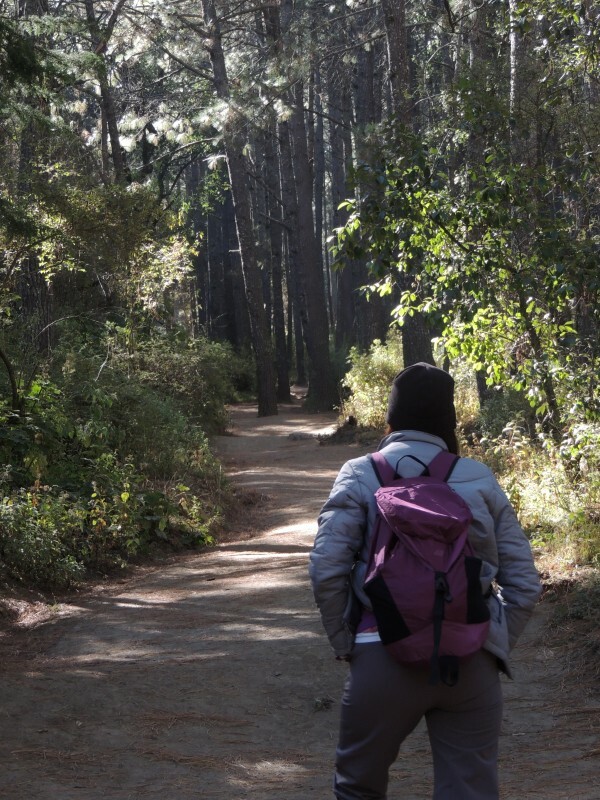 It is best to start in the early morning and return well before sunset. As you would expect, the view from the top is breathtaking, and there are several picturesque places to rest on the way up. Below on the way down. 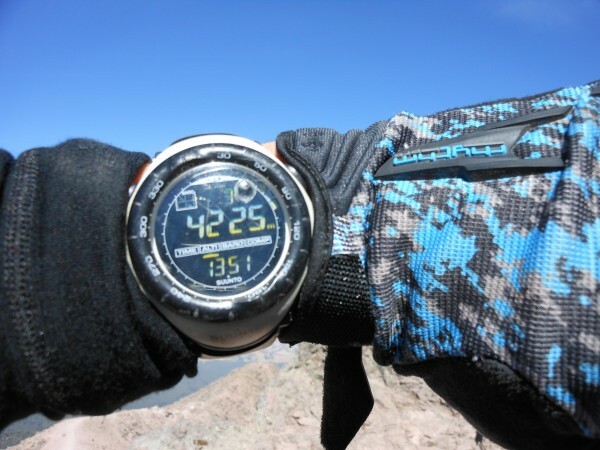 I forgot to take the photo at the summit with my altimeter bummer!! !